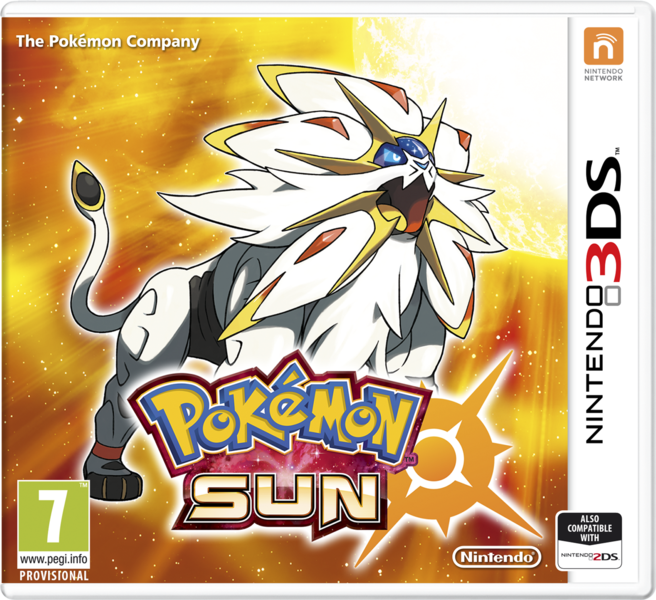 A few months ago, some interesting Pokemon Sun and Moon pictures were posted online. Showing what appeared to be the final forms of the starters, these had them evolve into forms no one would ever have predicted. 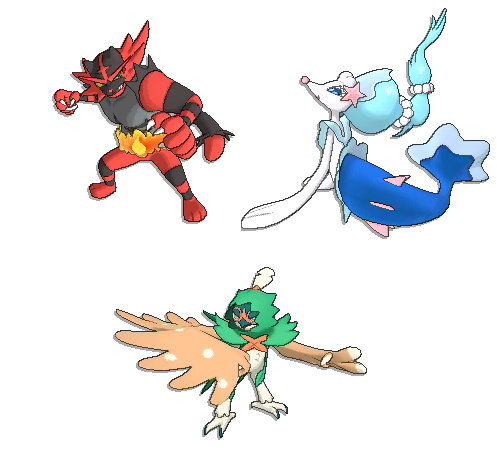 Like say, Rowlett into an archer, Litten into a wrestler and Popplio into a mermaid. As you can guess, the fanbase was not exactly best pleased about all of these. 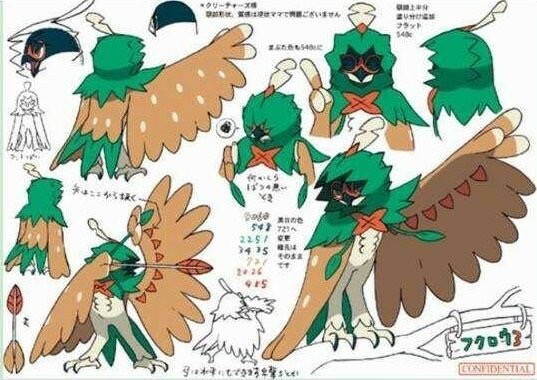 Okay, Rowlett’s Robin Hood esque evolution got some fans. 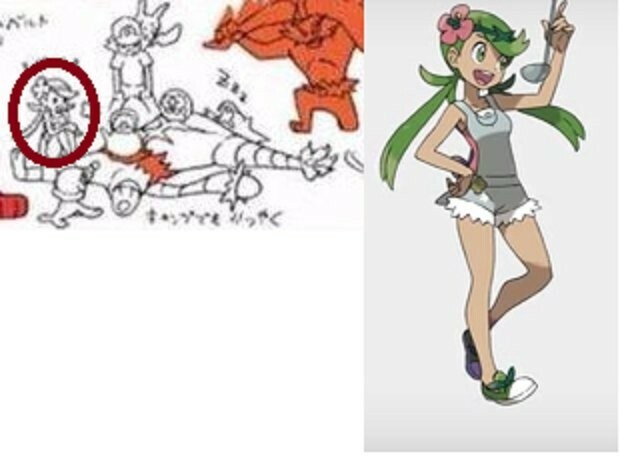 But Litten’s was disliked for being another bipedal Fire/Fighting Pokemon, and Popplio’s was seen as out of place. Because of this, many people kind of hoped they were fake. I mean, the style looks a bit different to the official art. And hey, they’re posted on 4chan, a place known for rumours! They can’t be real, right? That doesn’t seem like a coincidence. The designs are simply too similar for the two to be unrelated characters. Even things like the hair style seem to be the same here. So it seems like the leaked pictures might very well be real. But does this mean any other rumours are real? Well, not really. They could be, and quite a few of them do go really well alongside said pictures. It wouldn’t be surprising if Litten’s evolutions were Fire/Dark type. I mean, they’ve got the ‘heel’ wrestler look down well in the image. However, they don’t seem to be posted by the same people as the starter images. And what’s more, there are multiple conflicting rumours that all see equally plausible here. So take the final starter evolutions as likely, but not the other stuff. There’s just not enough evidence to lump all these rumours together as accurate as of this point in time. What do you think about the rumoured starter evolutions? Sure. It was just automatically posted, so it stuck the post thumbnail in the content. I refuse to believe it. I refuse to believe they'll make another fire/fighting type. They KNOW that everyone is sick of fire/fighting starter types and are smart enough to not make another one. 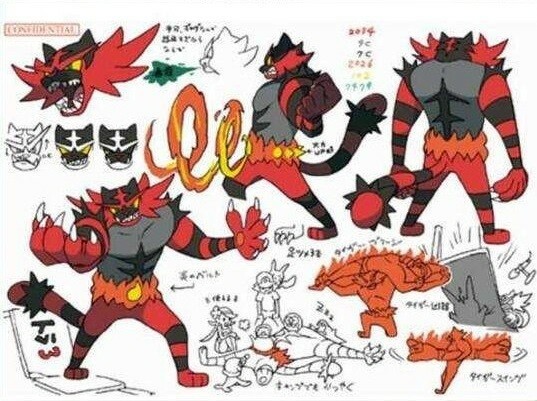 I'm sticking to my belief that Litten will be fire/dark because anything else wouldn't make sense. If, by some small, small, small, microscopic, no chance in hell way that this is real, then for the first time, I might choose the grass starter. Mainly because feather arrow would be a cool move. I think it is real artwork, but I doubt it is regarding the finished product. 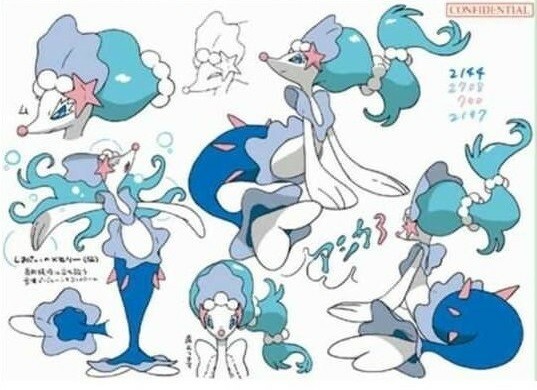 So I am just going to wait until they actually reveal the Pokemon and their types.